I wonder how last night’s cancellation will unfold. I’d rather play than take a forfeit, but if we have to compromise our rotation down the line by playing five games in five days, we should just take the win. We have the Rakers on Sunday at 12pm at Pie Traynor Field in North Park. They play the Blacksox the day before, perhaps we will see the same pitcher again. Some good things about the rain-out: we get Rick and his biceps back at 100% for Sunday, also Phillies hat- OF/Catcher will be healthy. Plus its another day for KT to find some pants, although at this point he can wear whatever he wants, he’s leading the team in batting average I think. I should really get a roster, or learn everyone’s name. 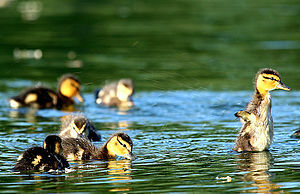 Mandarin Ducks, which are referred to by the Chinese as Yuan-yang are frequently featured in Oriental art and are regarded as a symbol of conjugal affection and fidelity. 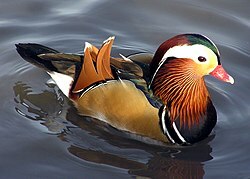 A Chinese proverb for loving couples uses the Mandarin Duck as a metaphor: “Two mandarin ducks playing in water” The Mandarin Duck symbol is also used in Chinese weddings, because in traditional Chinese lore they symbolize wedded bliss and fidelity.